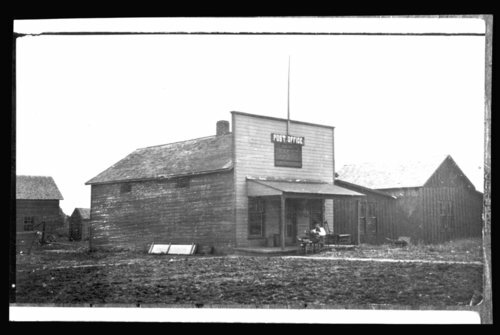 A photograph of the Geneva, Kansas post office. A man, possibly postmaster D.D. Spicer, can be seen reading in front of the building.